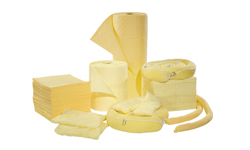 Our Absorbent products will absorb most water, petroleum, and chemical based fluids. 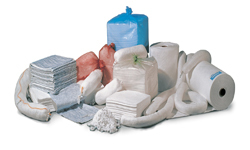 If you do not see the product(s) you are looking for please contact us and we will fulfill your order! 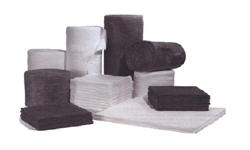 We carry Absorbent Pads, Oil-Only Absorbent Pads, Universal Absorbent Pads, Absorbent Mats, Absorbent Pillows, Absorbent Rolls, Absorbent Safety Mats, Absorbent Socks, Absorbent Booms, Absorbent Wipes & Wipers, Absorbent Drip Pans, Absorbent Drum & Barrel Toppers, Absorbent Wringers, Absorbent Spill Kits, Green Absorbents, Green Stuff Absorbents, Loose Absorbents, and more!